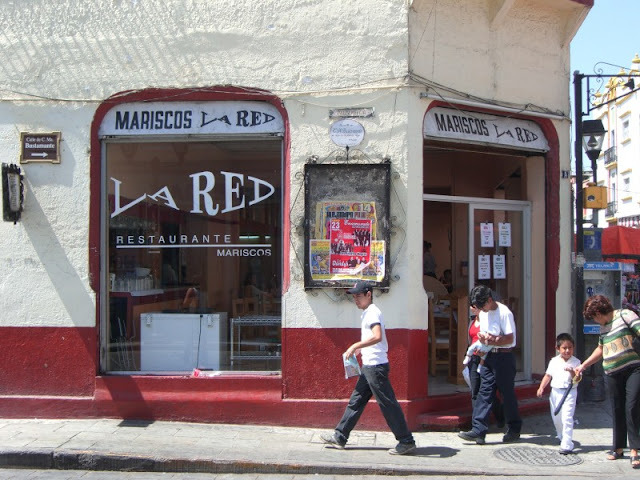 We were seeking a change of pace from mole, rice and beans and Mariscos La Red provided exactly what we were looking for. 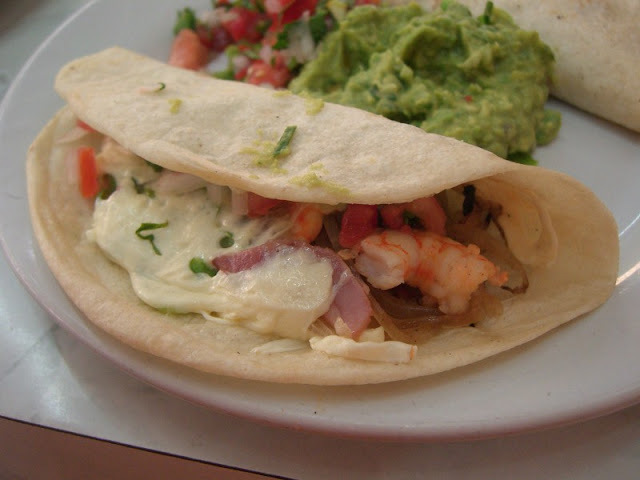 We started with some shrimp tacos. The shrimp was great, and it came with good guacamole and some nice pico de gallo. The quesillo melted into it was fine, but took away a bit from the otherwise fresh flavor. 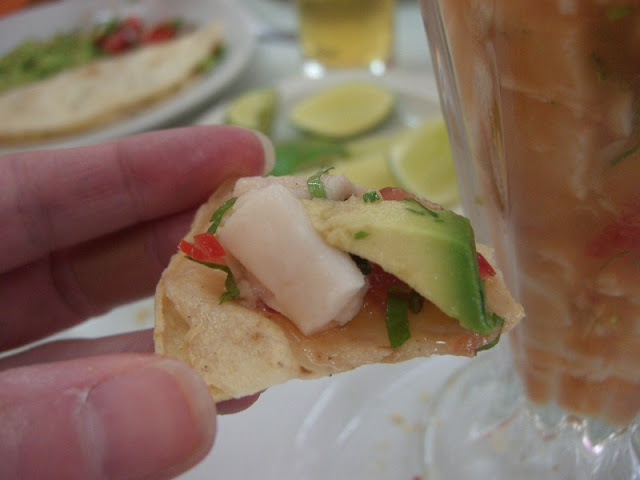 The ceviche de pescado was very good. The fish had great texture, and had a nice acidic bite to it. We also tried a coctel de pulpo, but as I feared it came doused in the insipid, sweet tomato sauce they like to use for cocteles. I find it totally overwhelms the natural flavor of the seafood. As an experiment, we tried a snack off of the menu that we didn't recognize - "costalitos" de camaron y pulpo. 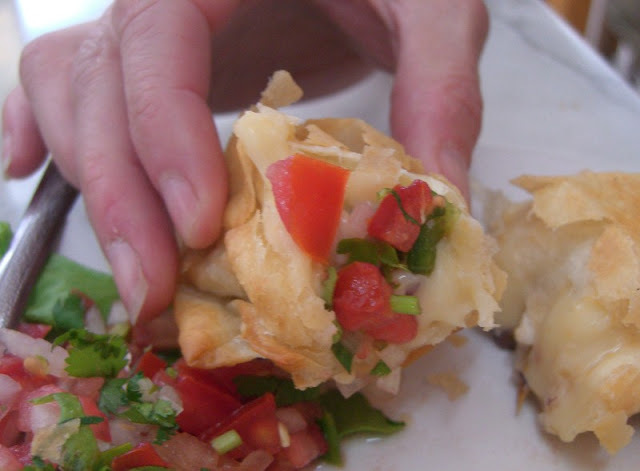 It turned out to be a warm, cheesy pastry. Very tasty.